Exciting news! The Buzzard Tree has been selected as part of Deep Roots, an exhibition taking place at the Mississauga Living Arts Centre. Artists from across Ontario were invited to submit works for Deep Roots, which reflect Ontario’s geography, history, and cultural identity. This exhibition presents diverse perspectives, including examinations of the land and the urban, industrialized environment, the experiences of immigrants, and personal reflections on one’s life and environment. Deep Roots is part of the Living Arts Centre’s programs to celebrate Canada and Ontario’s 150thanniversary in 2017. 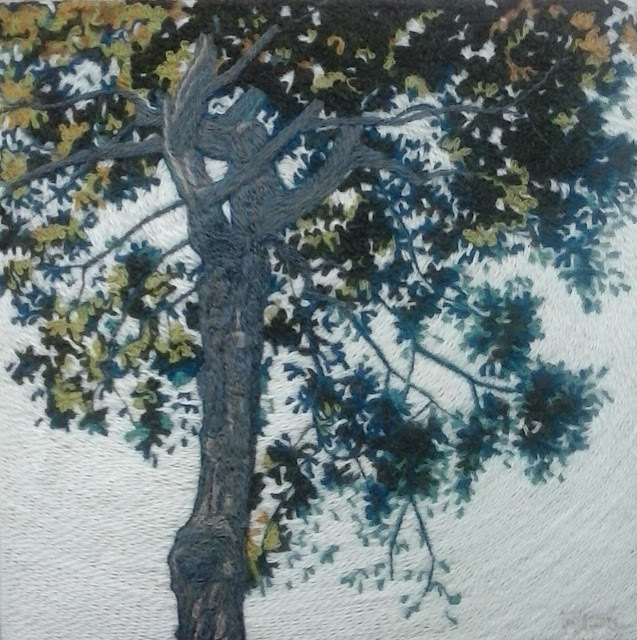 The Buzzard Tree, Peruvian Highland Wool and Beeswax on Birch Panel, 12" x 12" x 1.5"
It's a pleasure to be part of this exhibition. What a great way to kick off a new year! May your New Year celebrations be full of pleasant surprises too.